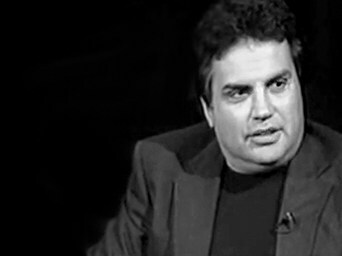 Jim DiEugenio is the author of Destiny Betrayed, about the Garrison investigation of the Kennedy assassination, first published in 1992, with a second, greatly revised edition issued in 2012; and Reclaiming Parkland, published in 2013 and reissued in expanded form in 2016, which offers a detailed critical examination of the Warren Commission's evidence and conclusions as presented by Vincent Bugliosi's Reclaiming History, along with an analysis of the CIA's influence in Hollywood. He is also the co-author and editor of The Assassinations: Probe Magazine on JFK, MLK, RFK and Malcolm X. He co-edited Probe Magazine from 1993-2000 and was a guest commentator on the anniversary issue of the film JFK re-released by Warner Brothers in 2013. Jim, who has an MA in Contemporary American History from California State University Northridge, is also a specialist in the history and theory of cinema, and has written numerous film reviews; he is a frequent contributor at Robert Parry's Consortium News. He has appeared as guest on numerous talk shows, and is a regular on Len Osanic's BlackOp Radio. Jim has recently retired from thirty years as a professional educator. Kennedys and King is the successor site to CTKA (formerly ctka.net). CTKA (Sit-kah) was an activist group lobbying for full disclosure of all records relating to the assassination of President John F. Kennedy. In 1993, in response to public outcry created by Oliver Stone's film JFK, Congress passed the JFK Act, a law requiring federal agencies to release all the remaining withheld evidence relating to the assassination of President John Fitzgerald Kennedy. While some pretend the case is closed, the case can never be closed so long as the documents pertaining to the assassination and the investigations that followed remain locked away from public scrutiny. Citizens for Truth about the Kennedy Assassination was organized as a result of the April 1993 Chicago Midwest Symposium on Assassinations. At the end of that conference, it was generally decided that the time had come to create a political action group, which would urge the executive branch of our government to re-open the unsolved assassinations of the 1960s-i.e., the murders of President John F. Kennedy, Senator Robert F. Kennedy, and Dr. Martin Luther King. CTKA endeavored to ensure that the Review Board fulfilled its mandate to release all the remaining records pertaining to the JFK assassination; to amend the current Freedom of Information Act to render future covert actions more difficult to hide; and to urge the American people to discover the truth about their history. CTKA formerly published Probe Magazine (1993-2000), and featured on its web site many of the articles which first appeared there, along with a continuous stream of new articles and reviews by numerous contributors. Kennedys and King seeks to continue this mission of presenting the best in research concerning the political assassinations of the 1960s and their historical context. If you thought you already knew everything there was to know about the Kennedy assassination, think again. If you enjoyed the chilling experience of In Cold Blood and were at the edge of your seat while watching Oliver Stone's JFK, you'll love this investigative look into all the facets of one of the top conspiracies of the 20th century and beyond. DiEugenio, who has spent decades researching the Kennedy assassination, takes both an analytical and conversational approach to his fascinating exploration of the pivotal historical events and scandals surrounding that day. 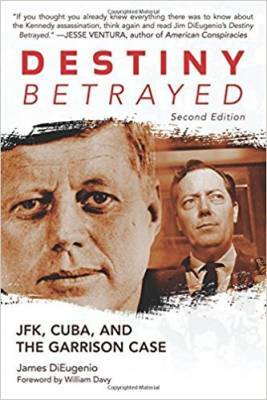 Twenty years after the first edition of Destiny Betrayed, DiEugenio is back with his ever-expanding investigation into the life and death of JFK. But this is no simple reissue. 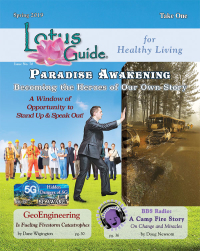 It is a greatly revised and expanded version of the original book, including updates on all the topics it introduced back in 1992. DiEugenio has used the declassification process of the Assassination Records Review Board (ARRB) to obtain the most current information on topics like the Garrison investigation and Clay Shaw; the newly exposed fallacies of the Warren Commission; U.S.-Cuban policy from 1957 to 1963; Kennedy's withdrawal plan from Vietnam; Kennedy's challenge to the Cold War consensus in 1961, and where those ideas originated; the ARRB medical inquiry demonstrating conspiracy and cover up; and the problems with the investigation of the Kennedy case. DiEugenio's primary focus is on the Garrison inquiry, the New Orleans aspects of the Kennedy murder investigation, and the revelatory new information that bolsters Garrison's case and has been withheld from the public. All of this and more is contained in the narrative of this complex crime, with twin focuses on the victim, John F. Kennedy, and the investigator, Jim Garrison.